HNB Assurance Group delivered impressive financial results for the 1st half of 2018, posting a Profit After Tax (PAT) of LKR 805 MN. The 1st half PAT is inclusive of the regular profits together with the One-off Surplus which arose from the insurance industry valuation rule change as well as the 1st quarter valuation of the Life Fund under the new valuation method. The profit growth thus reflected the 357% growth over prior. However, the resultant increase remains uniquely applicable only for the year 2018, the Company communication stated. The Group recorded a Gross Written Premium (GWP) of LKR 4.2 BN depicting a growth of 12% amidst very tight market conditions when compared with the GWP of LKR 3.8 BN recorded during the corresponding period of 2017. 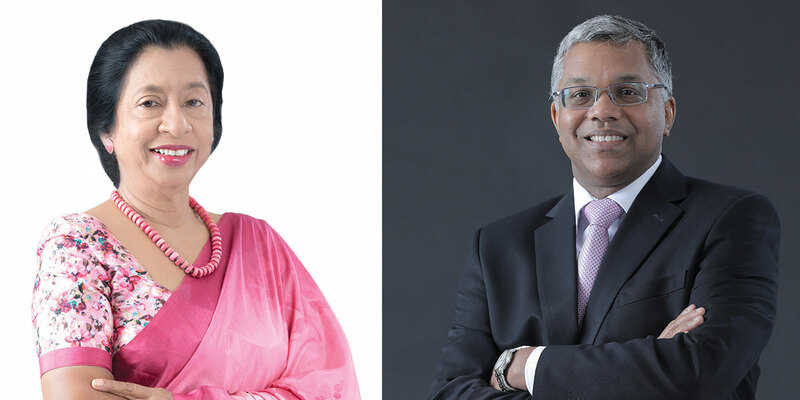 Sharing her views on the financial results, Mrs. Rose Cooray, Chairperson of HNBA and HNBGI stated, “The Group has made progress during the first half, further strengthening our footprint in the insurance industry. These impressive results were achieved amidst many economic and operational challenges. The first half operating results showcase solidity of the HNBA Group and the improved efficiencies of the Life and General businesses and the strategies in place to cater to the insurance needs of our community. Both businesses of the Group are committed to deliver value to all stakeholders as well as to further consolidate firm standing of the Group in the insurance industry”. Expressing his views on the first half financial results, Mr. Deepthi Lokuarachchi, Managing Director/CEO of HNBA and HNBGI stated, “These results are an outcome of the Group’s well-founded strategies and well-focused management practices. In a challenging economic backdrop, the Group was successful in achieving a GWP growth of 12% during 1H 2018”. Speaking on the performance of each business, Managing Director/CEO, Mr. Lokuarachchi commented “classes such as motor and fire of the General Insurance business showcased an impressive growth while other classes including the Life Insurance business have grown consistently with the market ratios of growth. Total assets of the Group reached LKR 20 BN and the investment in financial instruments surpassed the value of LKR 16.5 BN. As at 30th June 2018, the Life Insurance Fund reached a value of LKR 11.6 BN and the General Insurance Fund reached a value of LKR 2.6 BN”. Speaking on the Group’s future prospects, Mr. Lokuarachchi added that the Group remains confident of its ability to deal with ongoing and imminent challenges facing the business and to grow beyond benchmarks.